Jim Hancock is seasoned business leader and facilitator with a passion for developing people via challenging outdoor programs and candid conversations. His professional resume includes leading the 15 full-time staff and 40 instructors of Club Nautique, San Francisco Bay’s largest sailing school and yacht charter company. As Club Nautique’s General Manager and School Director, Jim successfully managed two offices through stormy financial times, while still building the business and substantially improving the school. At Club Nautique Jim reinvigorated the business’s corporate teambuilding program, personally developing and leading custom tailored events designed to meet individual client’s goals. Jim's leadership philosophy is solidly based on his core values of integrity, communication and respect for the individual; values he brings to every program he facilitates as part of the GEL team. Jim has a passion for coaching and mentoring in outdoor settings that goes back to his teen years as a SCUBA instructor, and has continued through his certification as both a U.S. Sailing Instructor and Instructor Trainer. His on-the-water experience is complimented by formal education at M.I.T. as a Marine Engineer and his early work experience as a Marine Engineer for Exxon. Jim’s vocation and avocation have never been far apart. 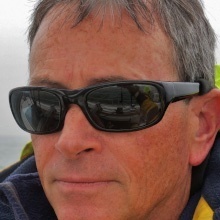 He is a licensed captain currently works as a charter skipper and a part-time sailing instructor, and is always striving to develop better ways of communicating challenging concepts through intuitive understanding. He has never shied away from big undertakings, as he outfitted his own boat and sailed it more than 17,000 miles through the South Pacific during a six year cruise with his wife; an experience that shaped his view and understanding of cultures, society and our modern world.